If you like the Negroni, try its “parent” cocktail, the summer-friendly Americano…. That iconic Italian aperitivo cocktail, the Negroni, continues its comeback roll. Not only is 2011 the “Year of the Negroni” (see my earlier post), but at the “Tales of the Cocktail” extravaganza this week in New Orleans, the cocktail cognoscenti will again pay homage to the classic drink, including an attempt to build the world’s largest Negroni cocktail ever. A superb cocktail, it’s deserving of the recent (overdue) notoriety. 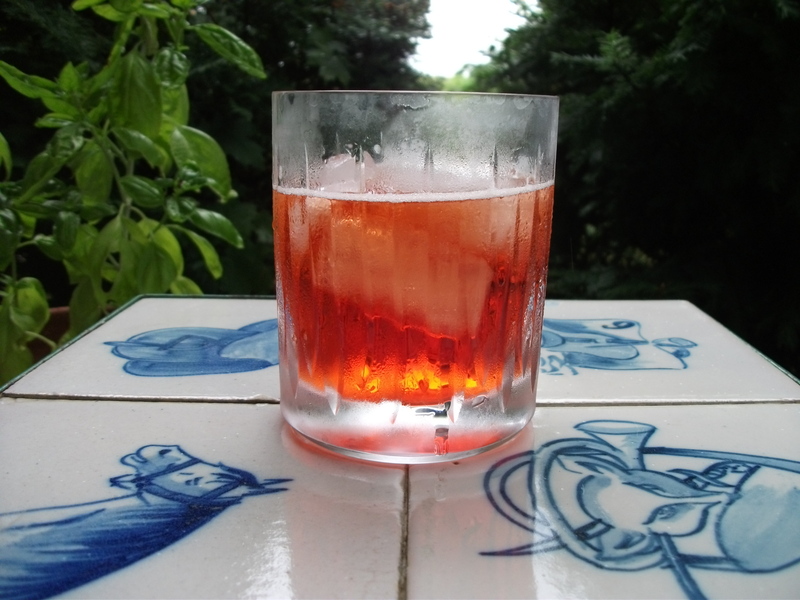 But as an all-spirits drink — Campari, sweet red Vermouth and Gin –the Negroni can prove too potent on a scorching hot day. Which is why on a recent steamy hot July evening, I made an Americano instead. Substitute soda for the Negroni’s Gin and you have the Americano, a drink that was invented in the 1860’s and famous in its own right in the early 20th Century (before Count Negroni added the Gin) . In fact, as Dale DeGroff , a.k.a. 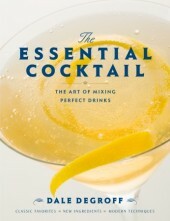 King Cocktail, explains in his excellent home drinks reference, “The Essential Cocktail”, the Americano was named in honor of the parched American tourists who flooded Europe during the Prohibition years and guzzled vast quantities of the refreshing highball. Until being renamed, it had been known as the “Milano-Torino”, based on the origins of the two spirits, Campari (Milan) and sweet red Vermouth (Turin). Americano is catchier, and it stuck. In the summer, I often drink Campari soda (one-third Campari, two-thirds soda over ice in a highball glass), a great appetite-stimulating aperitif. But for some, Campari is too bitter, or too medicinal, to drink only with soda. The fix? An Americano, which calls for the addition of red Vermouth, mellowing Campari’s bite with some welcome sweetness, without dulling Campari’s bracing botanicals. Lighter than the Negroni, less bitter than Campari soda, the Americano is refreshingly cool and savory, with a hint of sweetness. Fill a highball or Old-Fashioned glass with ice, add 1.5 ounces of Campari, 1.5 ounces of red Vermouth (I use the widely available Martini & Rossi version) and top with club soda or Pellegrino — but not more than 2-3 ounces of sparkling water — because you don’t want “to take the guts out of the drink”, says DeGroff. For the purist, garnish with an orange slice. This entry was posted in Spirits + Cocktails and tagged Americano Cocktail, Campari, Dale DeGroff, Negroni, Tales of the Cocktail. Bookmark the permalink.